27 Crags Photo - Oliana. Bernardo Gimenez descending after filming Ondra's on-sight to 'Mind Control' (8c+). Oliana. 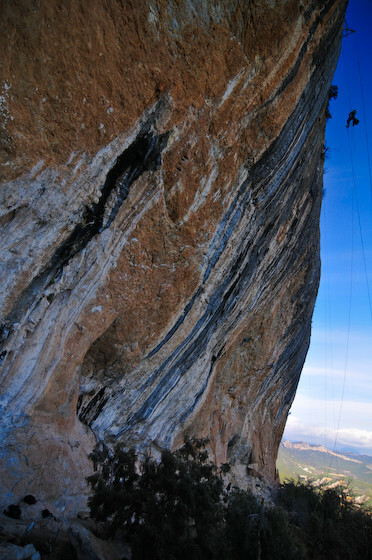 Bernardo Gimenez descending after filming Ondra's on-sight to 'Mind Control' (8c+).